“We are just going to have a quick dip in a lagoon,” was what I was told when persuaded to experience Laguna El Dudu. 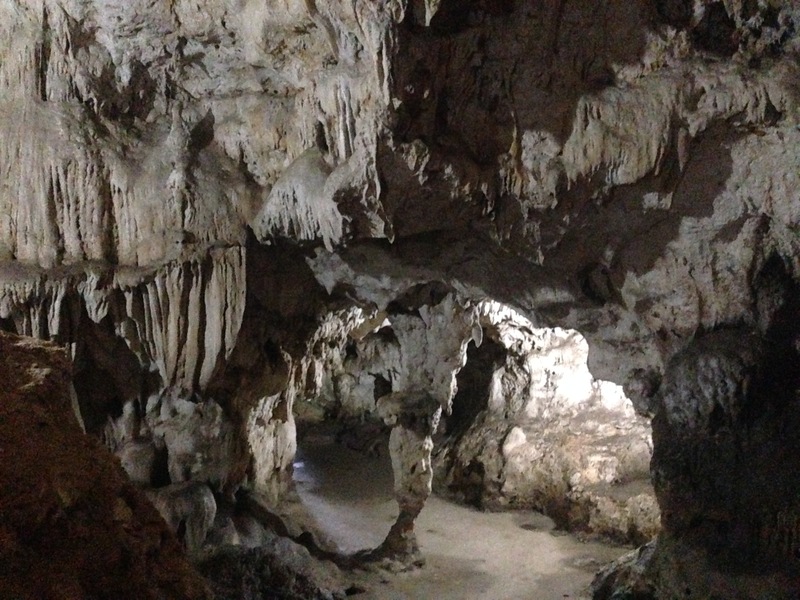 What sounded like a perfect way of cooling down from the year-round tropical temperatures in the Dominican Republic presented a real challenge for me. Before enjoying the much appreciated water, a cliff jump of about 10 meters was waiting! Laguna El Dudu is an exciting and mostly unknown attraction on the north coast of the Dominican Republic. 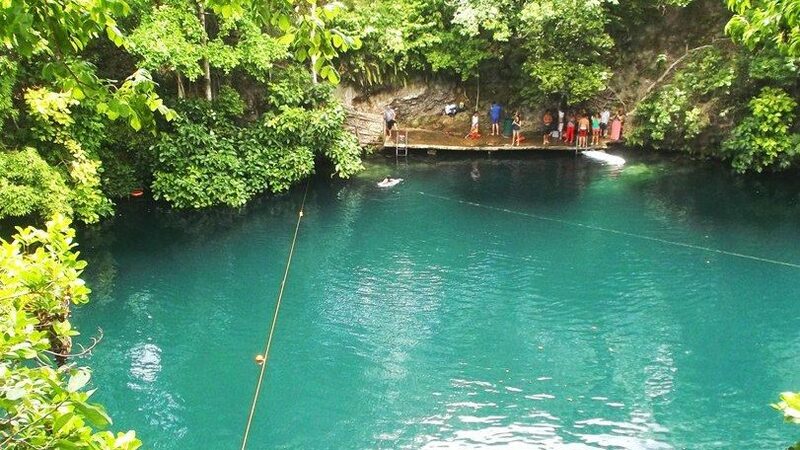 It requires a bit of bravery before one is able to swim in the water as the lagoon is surrounded by natural cliffs from which to jump into refreshment. Anyone (like me) who has never jumped from a 10 meter diving board, might need to take a deep breath in order to adjust to this adventurous situation. Some additional time for consideration was needed, but in the end, curiosity for something new outweighed the natural fear. So I finally leaped into the water with a loud scream, a subjective five seconds dropping in thin air, and finished with a big splash. Those who need a little help can also use a zipline cable which is tied above the water. You just grab the handle, swing over the water and let yourself fall at the right moment. 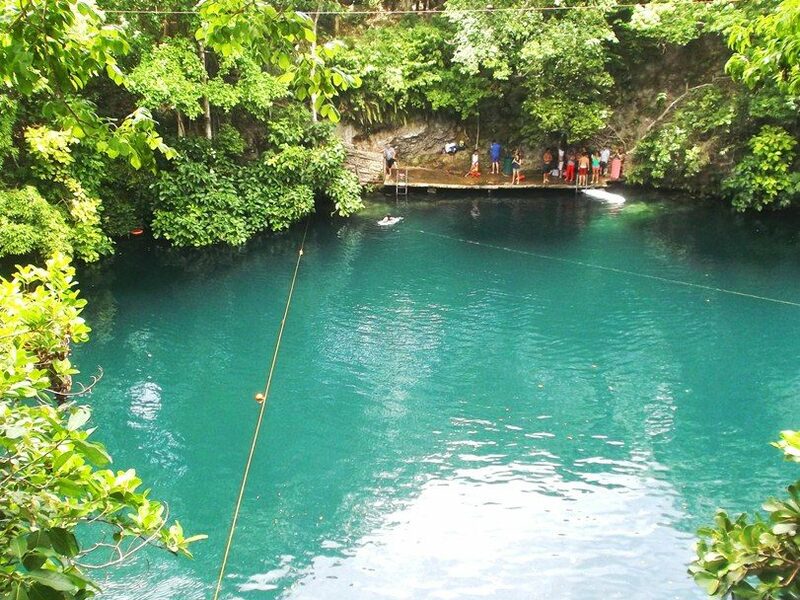 This zipline action is included in the entrance fee for Laguna El Dudu. But the lagoon is also a spot worth visiting for those who don’t need the adrenalin rush and prefer a calmer entrance and less challenging experience. There are stairs leading down to the water which enables smooth and easy access to the lagoon. You can still get a vicarious thrill because it’s a lot of fun to watch the other people jumping and ziplining into the water. If you visit during the weekend there are a lot of happy Dominicans around, which leads to much laughter and the demonstration of pure Caribbean vitality. 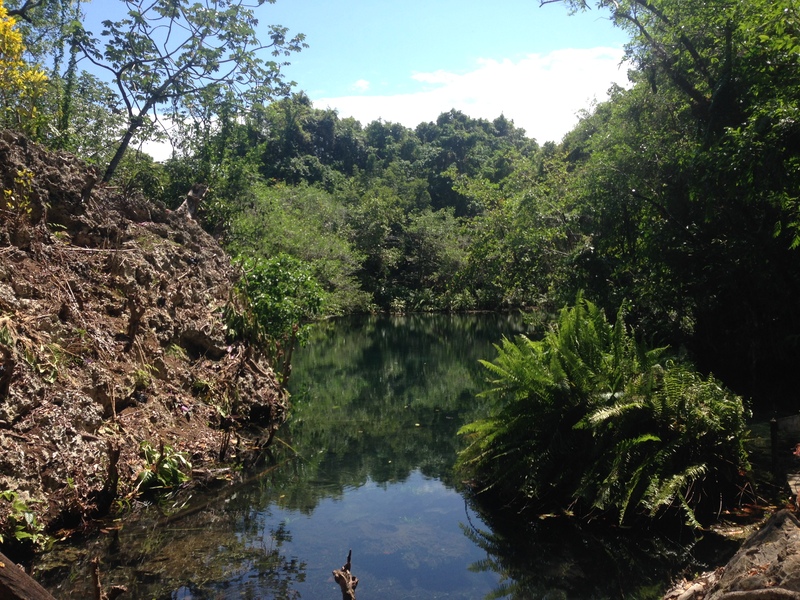 A visit to Laguna El Dudu can easily be combined with two additional short activities. First there is a small cave system nearby which is fun to explore. There is also a neighboring lagoon with clearer and shallower water, and is a perfect spot for a Dominican hangout. 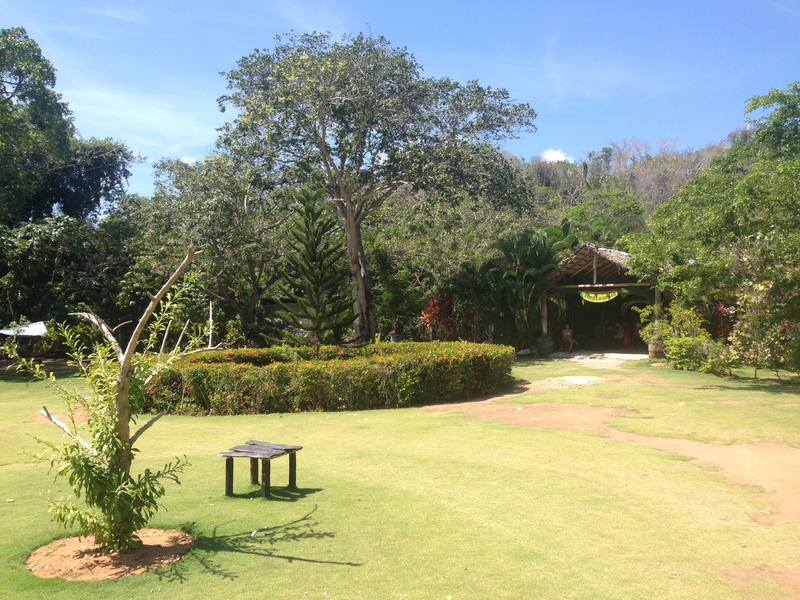 Laguna El Dudu is close to the small village and beautiful beach “La Entrada”. The next town is Cabrera which is approximately 5 miles away. If you would like to overnight close by we recommend the charming Hotel La Catalina which is located around 3 miles outside of Cabrera. A visit to Laguna El Dudu is great a stopover during a self-drive trip with your rental car from Samaná (Las Terrenas or Las Galeras) to Cabarete or Puerto Plata as the lagoon is located directly on the national highway No. 5. For those arriving from Samaná the entrance and a welcome sign is located on the left side, coming from the west it’s on the right side. There is plenty of parking available. If you would like to swim and jump into Laguna El Dudu it is best to leave everything in your car except the swim suits, a shirt, a towel, the car keys and the entrance fee of 150 Dominican Pesos (approximately $3.50 US). You want to have this fantastic experiences as well and take stunning pictures which will impress all your family and friends? Ask us for your personalized tour to Laguna Dudu – your trip to paradise!